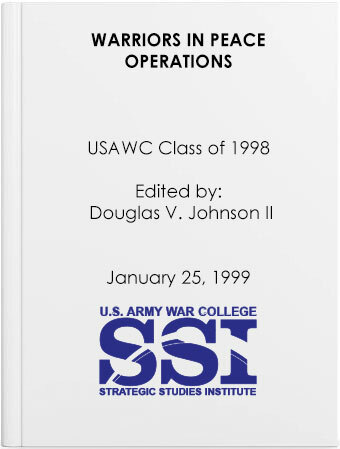 This collection of monographs has been assembled from the 42 Personal Experience Monographs written by the U.S. Army War College (USAWC) Class of 1998. The Personal Experience Monograph program was instituted immediately after the Gulf War with the original purpose of capturing first-person histories of various aspects of that war. The program rapidly expanded to include any military experience that might prove useful to others. When the USAWC Class of 1998 arrived, it was evident that a great many had recent experience in Bosnia that might prove useful to others who would eventually serve there. The collection assembled here was chosen for the wide variation of branch functions and the centrality of the initial deployment issues addressed. The authors speak for themselves with minimal editorial interference.